Malaysia Airlines, the flag carrier of Malaysia, is based in Kuala Lumpur. It flies to 60 destinations in 28 countries, but it doesn’t currently serve any cities in North America. 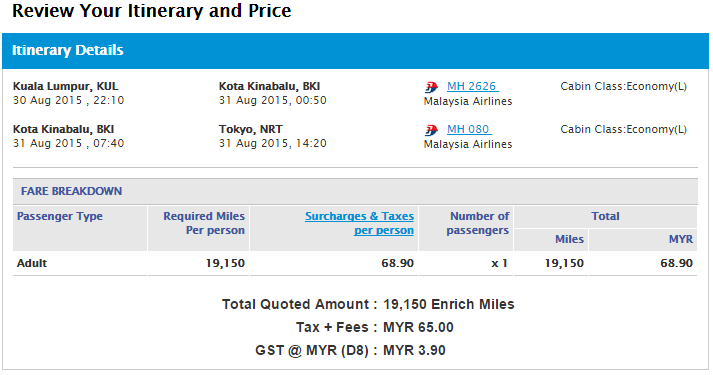 Malaysia Airlines Enrich is a well-rounded frequent flyer program, although it’s a bit complex. The program has five different award charts, and several award levels for Malaysia Airlines flights, including saver, standard and peak for both economy and business class. 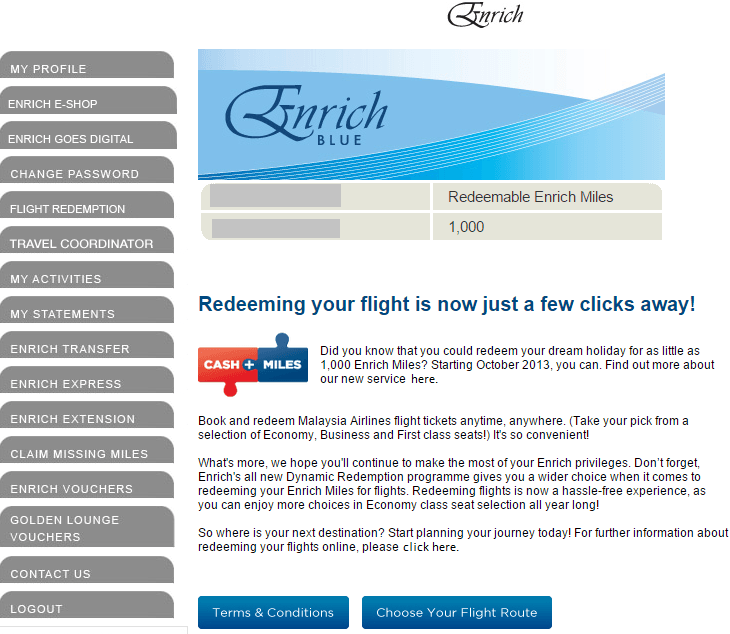 Enrich also offers members some nice incentives. You’ll get 15 percent off for booking online, and a reduced companion redemption in premium classes. In addition, there is a cash and miles option that allows you to redeem with only 1,000 miles. 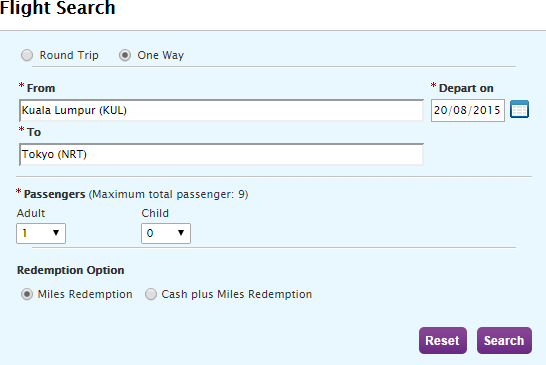 There are a few ways to collect Malaysia Airlines miles without flying, including transferring miles from Citi ThankYou Rewards, crediting mileage from flights on oneworld partners and earning miles with the airline’s hotel, car rental and retail partners. When Should You Use Enrich Awards? Although some redemptions in the Enrich program are overpriced, there are some outstanding deals. Domestic awards within Malaysia were reduced in February, and some routes are now as low as 6,000 miles. That’s better than the excellent short-haul redemptions available using British Airways Avios. Flights on partner airlines between Miami and South America cost only 40,000 in economy and 70,000 in business. You can get the same rates for flights between the East Coast of the U.S. and most of Europe, or between Seattle and Tokyo. 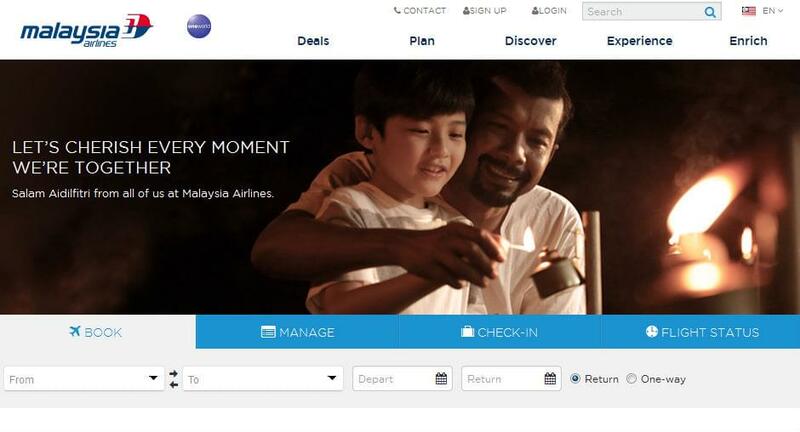 Go to the Malaysia Airlines homepage, and click on “Enrich” in the upper right corner. Click on “login” at the top of the screen, and log into your account. On the next screen, click “choose your flight route” at the bottom of the page. You’ll have a chance to review your itinerary on the next page. You’ll also see the cost in miles and the taxes and fees. If you have enough miles, you’ll be given the option to complete your transaction. They are open around the clock, but you may run into long wait times. Malaysia agents are very courteous, though complex itineraries can be difficult to book. It’s always best to research as much of your itinerary as possible before calling. Although they don’t handle award bookings, Malaysia Airlines has offices in New York; Des Plaines, Illinois; El Segundo, California; and Houston that may be able to help you. The number in the U.S. is 1-800-552-9264.